R.U.M. 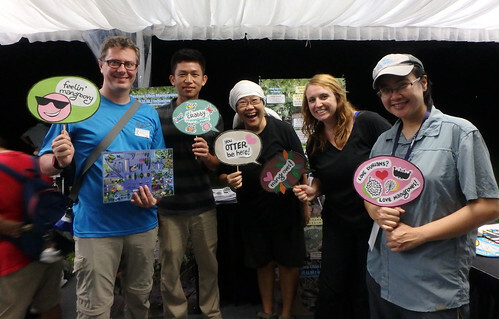 volunteers had a busy month reaching out about Pulau Ubin's mangroves and cleaning up the mangroves too! Here's more of what happened! 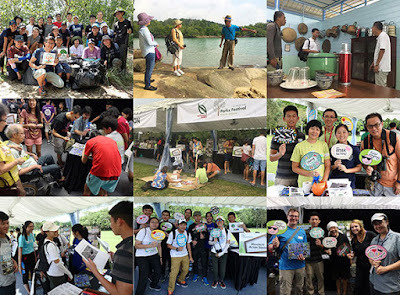 15 Oct: Mangrove Cleanup with youths! Organised by Lisa Lim, she reports: "This October mangroves and coastal cleanup session attracted many young tertiary student volunteers! Engaging these young people in conservation causes and environmental protection not only creates direct impact on changing youth's behaviours and attitudes but also possibly influence their elders, parents and peers. 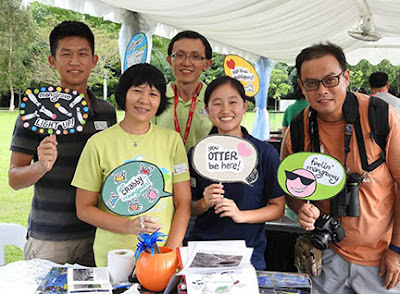 They can surely play an active role in protecting and improving the environment we live in. Well, they will have to live longer with the consequences of current issues on biodiversity loss, depletion of natural resources, etc. 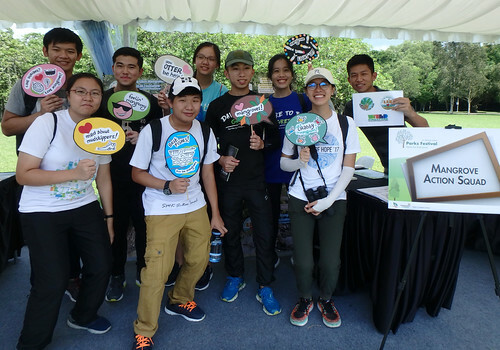 Am glad to see many youths are getting themselves involved and stepping up to champion environmental causes. Every effort is appreciated." 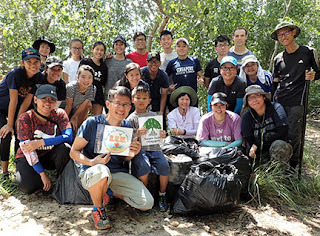 "Organized by Nature Society (Marine Conservation Group) and supported by Nparks, we cleared and collected 46.2kg of trash and debris around the mangroves and along the shore in just over an hour's work. 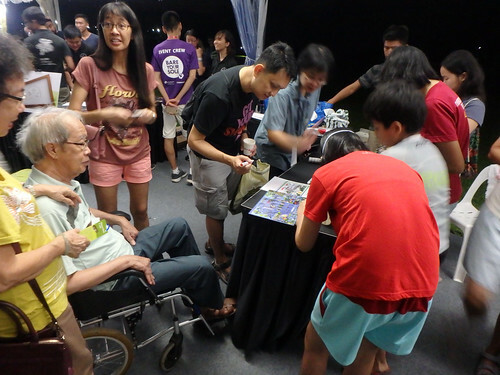 Thank you all the volunteers - young (the youths) and old (the experienced... lol)." The community of Sea Angel and R.U.M. volunteers organised a special monthly mangrove introductory walk at Pulau Ubin. 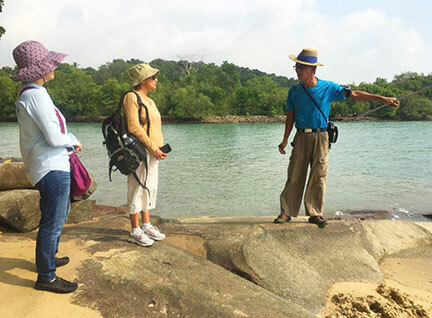 Led by Phillip Lim, who shared stories and insights into the mangroves of Pulau Ubin that we can't learn from books. 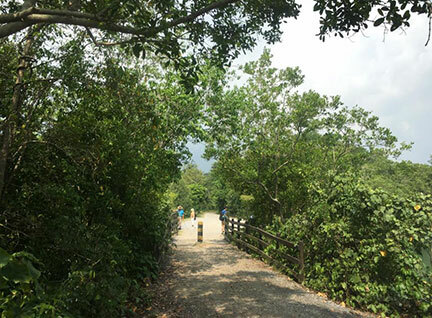 The walk along meandering paths by the mangroves gives glimpses of Ubin's nature and heritage. New! The walk includes a stop at Teck Seng's Place. 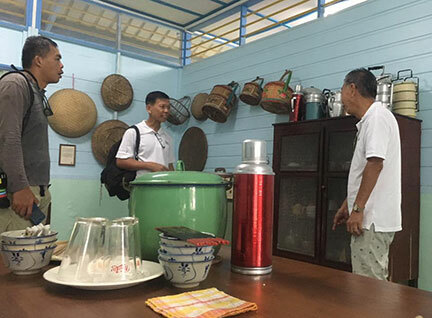 A kampung house restored by NParks to showcase kampung life in days gone by. 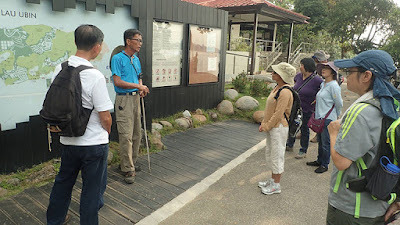 Uncle Lim is now looking after the Place and gladly shares Ubin stories. 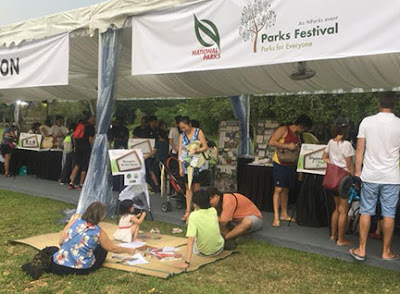 Thanks to Lee Wei Kit of the Mangrove Action Squad for inviting R.U.M to be a part of the Parks Festival at Pasir Ris Park! We had a great time reaching out to about 100 people! It was lovely to meet many sporting visitors from youths to families. 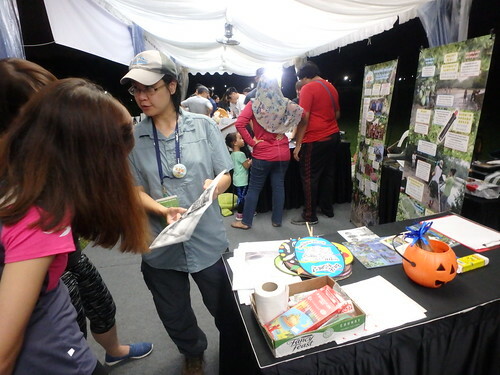 Wei Kit created a special mangrove quiz. It was tricky and hard to get the 5-star sticker! Thanks to all the Mangrove Action Squad and R.U.M. volunteers and friends for helping out and supporting.